Cities: Capital: Addis Ababa (pop. 3 million, 2010 est.). Other cities — Dire Dawa (379,896), Nazret (189,000), Gondar (229,368), Dessie (133.007), Mekelle (238,852), Bahir Dar (199,568), Jimma (132,000), Awassa (176,267). Nationality: Noun and adjective — Ethiopian(s). Annual population growth rate (est. ): 2.6%. Ethnic groups (est. ): Oromo 34.5%, Amhara 26.9%, Tigre 6.1%, Somali 6.2%, Sidama 4%, Gurage 2.5%, Wolaita 2.3%, Afar 1.7%, other nationalities 3%. Religions (est. ): Ethiopian Orthodox Christian 43.5%, Muslim 33.9%, Protestant 18.6%, remainder indigenous beliefs. Languages: Amharic (official), Tigrinya, Arabic, Guaragigna, Oromifa, English, Somali. Education: Years compulsory: none. Attendance (elementary) — 87.9%. Literacy — 43%. Health: Infant mortality rate: 77/1,000 live births. Work force: Agriculture: 80%. Industry and commerce — 20%. Branches: Executive — president, Council of State, Council of Ministers. Executive power resides with the prime minister. Legislative — bicameral parliament. Judicial — divided into federal and regional courts. Political parties: Ethiopian People's Revolutionary Democratic Front (EPRDF), the Unity for Democracy and Justice (UDJ) party, the United Ethiopian Democratic Forces (UEDF), Oromo Federalist Democratic Movement (OFDM), and other small parties. Central government budget (2009-2010): $6.0 billion. Defense: $341 million (1.14% of GDP FY 2009-2010). GDP (FY 2009-2010): $29.9 billion. Annual growth rate (2009-2010): 10.4%. GDP per capita (2009-2010): $365. Average inflation rate (FY 2009-2010): 2.8%. Agriculture (42% of GDP): Products: coffee, cereals, pulses, oilseeds, khat, meat, hides and skins. Cultivated land — 17%. Industry (13% of GDP): Types: textiles, processed foods, construction, cement, and hydroelectric power. Trade (2009-2010): Exports: $2.0 billion. Imports — $8.4 billion; plus remittances — official est. $2 billion. 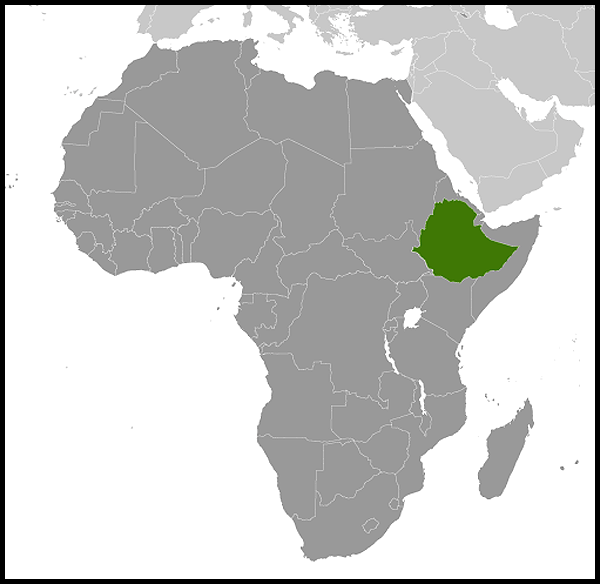 Ethiopia is located in the Horn of Africa and is bordered by Eritrea, Djibouti, Somalia, Kenya, South Sudan, and Sudan. The country has a high central plateau that varies from 1,800 to 3,000 meters (6,000 ft.-10,000 ft.) above sea level, with some mountains reaching 4,620 meters (15,158 ft.). Elevation is generally highest just before the point of descent to the Great Rift Valley, which splits the plateau diagonally. A number of rivers cross the plateau — notably the Blue Nile flowing from Lake Tana. The plateau gradually slopes to the lowlands of Ethiopia's neighbors to the west and the Somali-inhabited plains to the southeast. Ethiopia's population is highly diverse. Most of its people speak a Semitic or Cushitic language. The Oromo, Amhara, and Tigreans make up more than two-thirds of the population, but there are more than 77 different ethnic groups with their own distinct languages within Ethiopia. Some of these have as few as 10,000 members. In general, most of the Christians live in the highlands, while Muslims and adherents of traditional African religions tend to inhabit lowland regions. English is the most widely spoken foreign language and is taught in all secondary schools. Amharic is the official language and was the language of primary school instruction but has been replaced in many areas by local languages such as Oromifa and Tigrinya. Hominid bones discovered in eastern Ethiopia dating back 4.4 million years make Ethiopia one of the earliest known locations of human ancestors. Ethiopia is the oldest independent country in Africa and one of the oldest in the world. Herodotus, the Greek historian of the fifth century B.C., describes ancient Ethiopia in his writings. The Old Testament of the Bible records the Queen of Sheba's visit to Jerusalem. According to legend, Menelik I, the son of King Solomon and the Queen of Sheba, founded the Ethiopian Empire. Missionaries from Egypt and Syria introduced Christianity in the fourth century A.D. Following the rise of Islam in the seventh century, Ethiopia was gradually cut off from European Christendom. The Portuguese established contact with Ethiopia in 1493, primarily to strengthen their influence over the Indian Ocean and to convert Ethiopia to Roman Catholicism. There followed a century of conflict between pro- and anti-Catholic factions, resulting in the expulsion of all foreign missionaries in the 1630s. This period of bitter religious conflict contributed to hostility toward foreign Christians and Europeans, which persisted into the 20th century and was a factor in Ethiopia's isolation until the mid-19th century. Under the Emperors Theodore II (1855-68), Johannes IV (1872-89), and Menelik II (1889-1913), the kingdom was consolidated and began to emerge from its medieval isolation. When Menelik II died, his grandson, Lij Iyassu, succeeded to the throne but soon lost support because of his Muslim ties. The Christian nobility deposed him in 1916, and Menelik's daughter, Zewditu, was made empress. Her cousin, Ras Tafari Makonnen (1892-1975), was made regent and successor to the throne. In 1930, after the empress died, the regent, adopting the throne name Haile Selassie, was crowned emperor. His reign was interrupted in 1936 when Italian Fascist forces invaded and occupied Ethiopia. The emperor was forced into exile in England. Five years later, British and Ethiopian forces defeated the Italians, and the emperor returned to the throne. Following civil unrest, which began in February 1974, the aging Haile Selassie I was deposed on September 12, 1974, by a provisional administrative council of soldiers, known as the Derg ("committee"). The Derg seized power, installing a government that was socialist in name and military in style. It then summarily executed 59 members of the royal family and ministers and generals of the emperor's government; Emperor Haile Selassie I was strangled in the basement of his palace on August 22, 1975. The Derg's collapse was hastened by droughts, famine, and insurrections, particularly in the northern regions of Tigray and Eritrea. In 1989, the Tigrayan People's Liberation Front (TPLF) merged with other ethnically based opposition movements to form the Ethiopian Peoples' Revolutionary Democratic Front (EPRDF). In May 1991, EPRDF forces advanced on Addis Ababa. Mengistu fled the country for asylum in Zimbabwe, where he still resides. In July 1991, the EPRDF, the Oromo Liberation Front (OLF), and others established the Transitional Government of Ethiopia (TGE) comprised of an 87-member Council of Representatives and guided by a national charter that functioned as a transitional constitution. In June 1992, the OLF withdrew from the government; in March 1993, members of the Southern Ethiopia Peoples' Democratic Coalition left the government. In May 1991, the Eritrean People's Liberation Front (EPLF), led by Isaias Afwerki, assumed control of Eritrea and established a provisional government. This provisional government independently administered Eritrea until April 23-25, 1993, when Eritreans voted overwhelmingly for independence in a UN-monitored free and fair referendum. Eritrea, with Ethiopia's consent, was declared independent on April 27. The United States recognized its independence the next day. In Ethiopia, President Meles Zenawi and members of the TGE pledged to oversee the formation of a multi-party democracy. 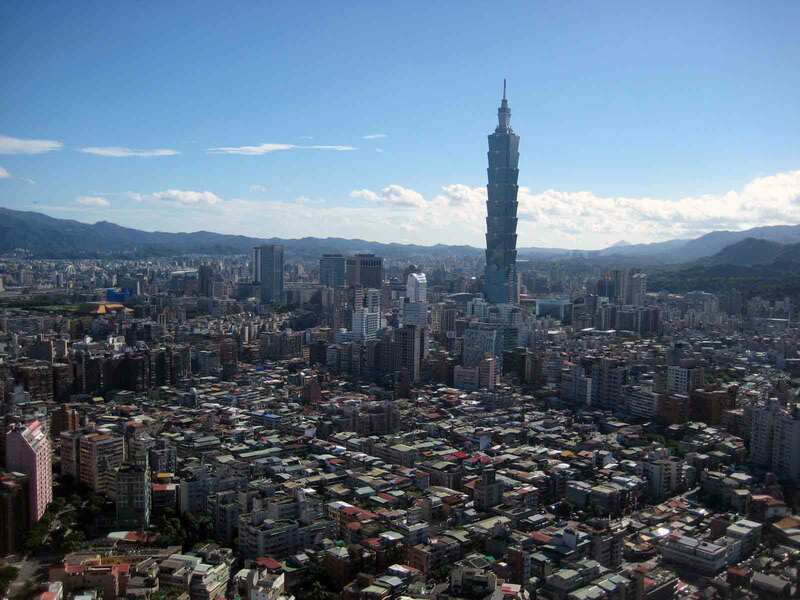 The election for a 547-member constituent assembly was held in June 1994. The assembly adopted the constitution of the Federal Democratic Republic of Ethiopia in December 1994. The elections for Ethiopia's first popularly chosen national parliament and regional legislatures were held in May and June 1995. Most opposition parties chose to boycott these elections, ensuring a landslide victory for the EPRDF. International and non-governmental observers concluded that opposition parties would have been able to participate had they chosen to do so. The Government of the Federal Democratic Republic of Ethiopia was installed in August 1995. In May 1998, Eritrean forces attacked part of the Ethiopia-Eritrea border region, seizing some Ethiopian-controlled territory. The strike spurred a 2-year war between the neighboring states that cost more than 70,000 lives. On June 18, 2000, Ethiopian and Eritrean leaders signed an Agreement on Cessation of Hostilities and on December 12, 2000, a peace agreement known as the Algiers Agreement. Opposition candidates won 12 seats in national parliamentary elections in 2000. In controversial national elections in May 2005, the opposition was awarded 170 of 547 seats but claimed fraud; violence ensued. Ethiopian security forces responded and in the process killed more than 200 people, arrested scores of opposition leaders, as well as journalists and human rights advocates, and detained tens of thousands of civilians for up to 3 months in rural detention camps. In December 2005, the government charged 131 opposition, media, and civil society leaders with capital offenses including "outrages against the constitution." Key opposition leaders and almost all of the 131 were pardoned and released from prison 18 months later. The opposition largely boycotted local elections in 2008 with the result that EPRDF won more than 99% of all local seats. In June 2008, former Coalition for Unity and Democracy (CUD) vice-chairman Birtukan Mideksa was elected the party chairman of the new Unity for Democracy and Justice (UDJ) party at its inaugural session in Addis Ababa. In October 2008, the Ethiopian Government arrested more than 100 Oromo leaders, accusing some of being members of the outlawed Oromo Liberation Front (OLF). At the end of December 2008, after briefly detaining Birtukan several times during the month, the government re-arrested her, saying that she had violated the conditions of her summer 2007 pardon. Her original sentence of life imprisonment was reinstated and she remained in prison until she was pardoned and released on October 6, 2010. In April 2009, the Ethiopian Government arrested 40 individuals, mostly Amhara military or ex-military members allegedly affiliated with external opposition party Ginbot 7 for their suspected involvement in a terrorist assassination plot of government leaders. The Ginbot 7 party was founded in May 2008 in the United States by Berhanu Nega, one of the opposition leaders in the 2005 elections, and advocates for change in the government "by any means." In August 2009, the Federal High Court found 13 of the defendants guilty in absentia and one not guilty in absentia. In November 2009, the court found another 27 guilty. In simultaneous national and regional parliamentary elections in May 2010, the ruling EPRDF won more than 99% of all legislative seats in the country. In a tally of the popular vote, 91.95% voted for EPRDF and affiliate parties, while only 8.05% voted for the opposition countrywide. Election day was peaceful as 89% of registered voters cast ballots, but independent observation of the vote was severely limited. Only European Union and African Union observers were permitted, and they were restricted to the capital and barred from proximity to polling places. Although those few independent observers allowed access to the process did not question the EPRDF victory, there was ample evidence that unsavory government tactics — including intimidation of opposition candidates and supporters — influenced the extent of the victory. Overall, the 2010 elections were not up to international standards because the environment conducive to free and fair elections was not in place. The EPRDF used the advantages of incumbency to restrict political space for opposition candidates and activists. At the local level, thousands of opposition activists complained of EPRDF-sponsored mistreatment ranging from harassment in submitting candidacy forms to beatings by local militia members, and complained further that there was no forum free of EPRDF control to which to present those complaints. 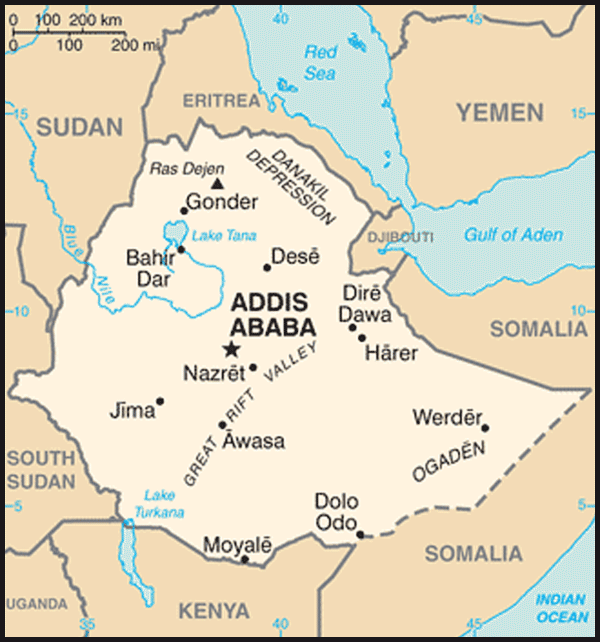 Ethiopia is a federal republic under the 1994 constitution. The executive branch includes a president, Council of State, and Council of Ministers. Executive power resides with the prime minister. There is a bicameral parliament; national legislative elections were held in 2010. The judicial branch comprises federal and regional courts. Following the 2010 elections, there were 152 women in the 547-seat parliament, two female judges on the 11-seat Supreme Court, and three women among the 39 state ministers. Political parties include the Ethiopian People's Revolutionary Democratic Front (EPRDF), Unity for Democracy and Justice (UDJ), Oromo People's Congress (OPC), Arena Tigay for Democracy and Sovereignty, Oromo Federalist Democratic Movement (OFDM), Coalition for Unity and Democracy Party (CUDP), the United Ethiopian Democratic Forces (UEDF), All Ethiopia Unity Party (AEUP), and other small parties. Suffrage is universal at age 18. The EPRDF-led government of Prime Minister Meles Zenawi has promoted a policy of ethnic federalism, devolving significant powers to regional, ethnically based authorities. Ethiopia has nine semi-autonomous administrative regions and two special city administrations (Addis Ababa and Dire Dawa), which have the power to raise their own revenues. Ethiopia maintains an embassy (http://www.ethiopianembassy.org/) in the U.S. at 3506 International Drive, NW, Washington, DC 20008 (tel. 202-364-1200). It also maintains a UN mission in New York and consulates in Los Angeles, Seattle (honorary), and Houston (honorary). The Ethiopian economy is based on agriculture, which contributes 42% to GDP and more than 80% of exports, and employs 80% of the population. The major agricultural export crop is coffee, providing approximately 26% of Ethiopia's foreign exchange earnings, down from 65% a decade ago because of the slump in coffee prices since the mid-1990s and increases in other exports. Other traditional major agricultural exports are leather, hides and skins, pulses, oilseeds, and the traditional "khat," a leafy narcotic that is chewed. Sugar and gold production has also become important in recent years. Gold, marble, limestone, and small amounts of tantalum are mined in Ethiopia. Other resources with potential for commercial development include large potash deposits, natural gas, iron ore, and possibly oil and geothermal energy. Although Ethiopia has good hydroelectric resources, which power most of its manufacturing sector, it is totally dependent on imports for oil. A landlocked country, Ethiopia has relied on the port of Djibouti since the 1998-2000 border war with Eritrea. Ethiopia is connected with the port of Djibouti by road. Of the 49,000 kilometers of all-weather roads in Ethiopia, 15% are asphalt. Mountainous terrain and the lack of good roads and sufficient vehicles make land transportation difficult and expensive. Ethiopian Airlines serves 17 domestic airfields and has 60 international destinations. Dependent on a few vulnerable crops for its foreign exchange earnings and reliant on imported oil, Ethiopia is suffering a severe lack of foreign exchange. The largely subsistence economy is incapable of meeting the budget requirements for drought relief, an ambitious development plan, and indispensable imports such as oil. The gap has largely been covered through foreign assistance inflows. The Ethiopian National Defense Forces (ENDF) numbers about 200,000 personnel, which makes it one of the largest militaries in Africa. During the 1998-2000 border war with Eritrea, the ENDF mobilized strength reached approximately 350,000. Since the end of the war, some 150,000 soldiers have been demobilized. With the aid of the U.S. and other countries, the ENDF continues a transition from its roots as a guerrilla army to an all-volunteer professional military organization. Training in peacekeeping operations, professional military education, military training management, counterterrorism operations, and military medicine are among the major programs sponsored by the United States. Ethiopia has one peacekeeping contingent in Liberia. In January 2009, Ethiopian peacekeeping troops began deploying in Darfur. In July 2011, Ethiopian peacekeeping troops began to deploy to Sudan as the UN Interim Security Force for Abyei (UNISFA). Ethiopia was relatively isolated from major movements of world politics until Italian invasions in 1895 and 1935. Since World War II, Ethiopia has played an active role in world and African affairs. Ethiopia was a charter member of the United Nations and took part in UN operations in Korea in 1951 and the Congo in 1960. Former Emperor Haile Selassie was a founder of the Organization of African Unity (OAU), now known as the African Union (AU), which is headquartered in Addis Ababa. Addis Ababa also hosts the UN Economic Commission for Africa. Ethiopia is also a member of the Intergovernmental Authority on Development (IGAD), a Horn of Africa regional grouping. Although nominally a member of the Non-Aligned Movement, after the 1974 revolution Ethiopia moved into a close relationship with the Soviet Union and its allies and supported their international policies and positions until the change of government in 1991. Today, Ethiopia has good relations with the United States and the West, especially in responding to regional instability and supporting counterterrorism efforts. Ethiopia's relations with Eritrea have remained tense and unresolved following the brutal 1998-2000 border war. The two countries signed a peace agreement in December 2000. A five-member independent international commission — the Eritrea Ethiopia Boundary Commission (EEBC) — issued a decision in April 2002 delimiting the border. In November 2007, the EEBC issued a decision that the border was demarcated based on map coordinates (usual demarcation based on pillars on the ground had not yet occurred due to disagreement between Ethiopia and Eritrea) and disbanded. Ethiopia does not consider the border to be demarcated, though Eritrea does. In July 2008 the United Nations Mission in Ethiopia and Eritrea (UNMEE) peacekeeping mission was terminated due to Eritrean restrictions impeding UNMEE's ability to operate. Both countries have stationed approximately 100,000 troops along the border. Both countries insist they will not instigate fighting, but both also remain prepared for any eventuality. The irredentist claims of the extremist-controlled Council of Islamic Courts (CIC) in Somalia in 2006 posed a security threat to Ethiopia and to the Transitional Federal Government (TFG) of Somalia. In December 2006, the TFG requested the assistance of the Ethiopian military to respond to the CIC's growing strength within Somalia. Within a few weeks, the joint Ethiopian-TFG forces routed the CIC from Somalia. Subsequently, Ethiopia stationed troops in Somalia (largely around Mogadishu), awaiting full deployment of the African Union's Mission in Somalia (AMISOM). However, the slow buildup of AMISOM troop levels pushed the Ethiopian Government to announce that its army would withdraw from the country in a matter of weeks. By the end of January 2009, all of its 3,000-4,000 troops had left the country. While Ethiopia does not currently have a military presence in Somalia, it views the ongoing conflict as a key national security concern. After Ethiopia's revolution, the bilateral relationship began to cool due to the Derg's linkage with international communism and U.S. revulsion at the Derg's human rights abuses. The United States rebuffed Ethiopia's request for increased military assistance to intensify its fight against the Eritrean secessionist movement and to repel the Somali invasion. In July 1980, the U.S. Ambassador to Ethiopia was recalled at the request of the Ethiopian Government, and the U.S. Embassy in Ethiopia and the Ethiopian Embassy in the United States were headed by Charges d'Affaires. The International Security and Development Act of 1985 prohibited all U.S. economic assistance to Ethiopia with the exception of humanitarian disaster and emergency relief. With the downfall of the Mengistu regime, U.S.-Ethiopian relations improved dramatically. Legislative restrictions on assistance to Ethiopia other than humanitarian assistance were lifted. Diplomatic relations were upgraded to the ambassadorial level in 1992. Total U.S. Government assistance, including food aid, between 2000 and 2010 was $5.056 billion. In FY 2010, the U.S. Government provided $932.6 million in assistance, including more than $451 in food aid. Today, Ethiopia is an important regional security partner of the United States. U.S. development assistance (http://www.usaid.gov/) to Ethiopia is focused on reducing famine vulnerability, hunger, and poverty and emphasizes economic, governance, and social sector policy reforms. Some military training funds, including training in such issues as the laws of war and observance of human rights, also are provided but are explicitly limited to non-lethal assistance and training. The address and telephone/fax numbers for the U.S. Embassy in Ethiopia are P.O. Box 1014, Entoto Street, Addis Ababa, Ethiopia (tel: 251/11/130-6000; fax: 251/11/124-2420). The U.S. Embassy's Washington address is: 2030 Addis Ababa Place, Washington, DC, 20521-2030. Embassy website: (http://ethiopia.usembassy.gov/).